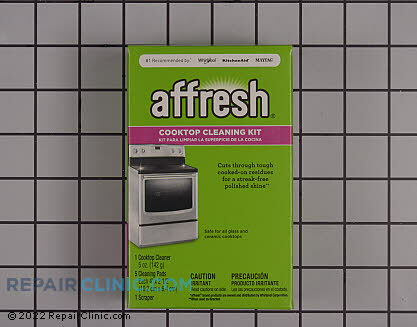 Complete Ceramic Cooktop Care Kit - contains a 10 ounce Cooktop Cleaner to clean and polish all glass or ceramic cooktops. A 4 ounce bottle of Cooktop Protectant. 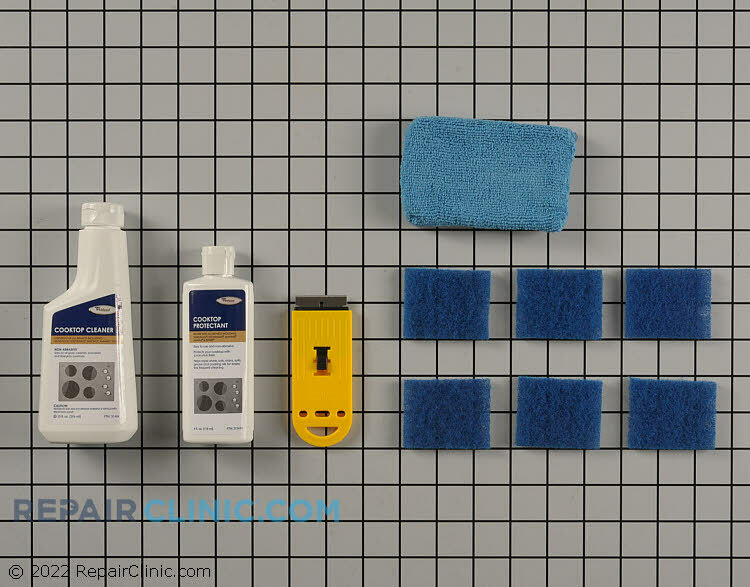 Six small cooktop cleaning pads and one larger Cooktop Protectant applicator.